What Can We Do to Boost Our Cold Email Deliverability? Do you think all your emails get delivered to your addressee’s main inbox? Are you sure they really do? Here’s about email deliverability and how much we should care about it sending cold emails. Can we raise it? If so, how to do that? This post is about people, bots, human-like bots, bot-like people and about how all of them decide whether our emails get delivered or not. 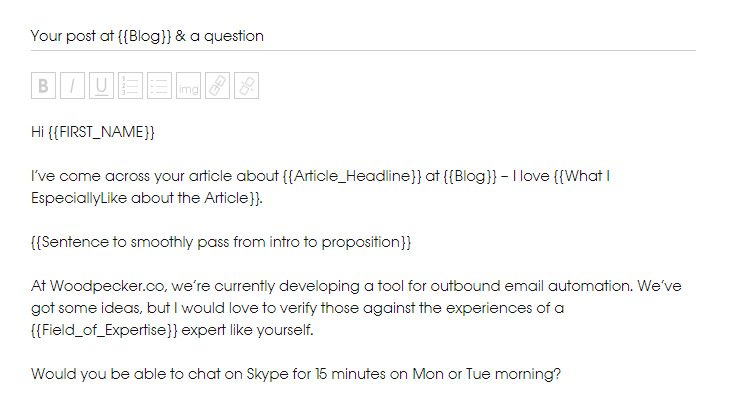 Can we influence our cold email deliverability? Don’t irritate people and spam filters. What kind of emails are “wanted”? What kind of emails are “unwanted”? In a nutshell, it’s how many of the emails we sent actually got to our prospects’ inbox, or more specifically: how many of the emails got a chance to reach our prospects’ eyes. If our email gets classified as spam, it’s not delivered at all or it’s not delivered where it should be. Thus, our email deliverability suffers. And the more of our emails get classified as spam, the fewer of them are delivered, and the lower the effectiveness of our campaign (not to mention the reputation of our email address and our domain as a whole). Yes. There are some rules that we should abide by to make sure our emails get delivered to the place we want them to be delivered – that is our prospect’s main inbox. Some of the rules are based on people’s opinion about what we send them and those are basically common sense rules. Some of the rules stem from bots’ (or filters’) assessment of the content of our emails plus the way we send them. If we want high email deliverability, we need to make sure our prospects do not see our emails as spam. Simply speaking, we want our prospects to like our emails. And we want the spam filters to classify our messages as “wanted”. our prospects see us as spammers, hence they manually mark our messages as SPAM. Below, I listed seven rules that will help us boost the email deliverability of our cold outreach – that is, help us avoid being classified as spam by both people and bots. There’s more of them for sure, but probably no one knows them all. These are the ones that we can easily and consciously abide by. Spammy words irritate both people and anti-spam filters. It’s easy to fall into a trap here, as many of us don’t even realize that some words we normally use in our emails may be caught by spam filters. And when it comes to people’s judgment, what sounds totally natural to us, may feel pushy and salesy to our prospects. I guess this is something we just need to learn by experience and by simply applying some emphatic filters to our copy. Once upon a time, some “evil geniuses” of spam thought that they could avoid being junked by anti-spam filters for the words in their emails if they don’t use words per se. That’s why they started sending messages in the form of huge pictures. As soon as email providers noticed the pattern “huge image, little text”, they added it to their spam filters. There’s also an interesting section on using links in emails in the same whitepaper, and the reason why we should be very careful with that. That’s why putting pics and links in our cold emails may irritate spam filters of some email providers. And that is why we should limit those to the minimum. Keep things simple, depend on a natural and pure message based on words. This one can make your addressees really pissed off. And pissed addressees will most probably mark your message as spam. The more of them do that, the faster your email domain will get blacklisted. So don’t give promises in the subject that your message is not going to keep. Don’t mislead your addressees just to get impressive open rates. Focus on the quality of your outreach as a whole. Send messages that are honest and provide real value to your prospects. From the subject to the signature. How do we recognize bulk messages? They are all the same. Or almost the same. They could be sent to thousands of people with almost no alterations in the body of the message. And because of the easily recognizable pattern, it’s easy to learn a bot to recognize that as well. Both people and filters get irritated by bulk email leaflets including impersonal offers. That’s why it’s crucial to personalize our emails as much as possible. Putting the first name of the addressee at the beginning is not good enough. When sending a cold email campaign from Woodpecker, I do use templates. But my templates usually involve 3-4 custom fields and snippets. Sometimes the snippets are whole sentences. That allows me to make my messages personal and tailor-made for my prospects. As a result, the prospects feel that they are the center of my message and that I actually cared enough to find out something about them before I reached out. At the same time, each of the emails sent within the same cold email campaign is different, so the filters accept this as a personal message as well. People are happy, bots are happy, and I am happy because of high deliverability and high response rates. If we have a low-quality list of contacts – that is, if a significant part of the email addresses we send our emails to don’t exist, lots of our emails will be bounced. Bounce rate affects email deliverability to a great extent. A high number of hard bounces (due to a non-existent email address) may get our domain blacklisted. That’s why we should always make sure that our contact base is well-verified and up-to-date. One of the great things in Woodpecker is that your prospects’ emails are pre-checked even before you send them your first email. 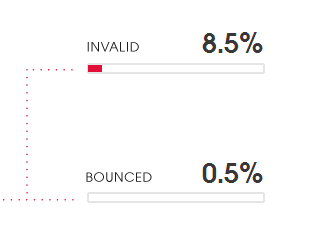 The addresses that most probably are wrong or don’t exist are automatically marked as INVALID, and none of our messages will be sent to them in order to decrease the hard bounce rate to the minimum. Low bounce rates protect your email domain from getting blacklisted. If you’ve set up a brand new email address for your outbound email campaigns, it’s important to get it “warmed-up” before you start sending greater numbers of messages. So start slow and gradually increase the number of messages sent a day, to make sure your domain won’t get classified as a potential source of spam. This also stems from the spammers’ practices. How many times have you got cold email spam from an email address like [email protected], or [email protected]? Have you ever been wondering why the people need email addresses with ordinals? It’s probably because they send hundreds of emails from each of their email accounts, get junked, or banned by their email provider, and they quickly need another email address to send the emails from. Again, keep it natural when it comes to numbers. How many emails would you be able to send a day if you were sending them manually one by one? Focus on quality rather than quantity and more of your emails will be delivered. That’s a kind of continuation of the previous rule. Bulk emails are sent in hundreds at once. Whichever tool you use to send your emails automatically, make sure it doesn’t send too many messages at the same time. That’s not human-like behavior. And the filters are sensitive to that. Hope this helps. Have you experienced problems with your email deliverability? What factors have you found important for high deliverability rate?